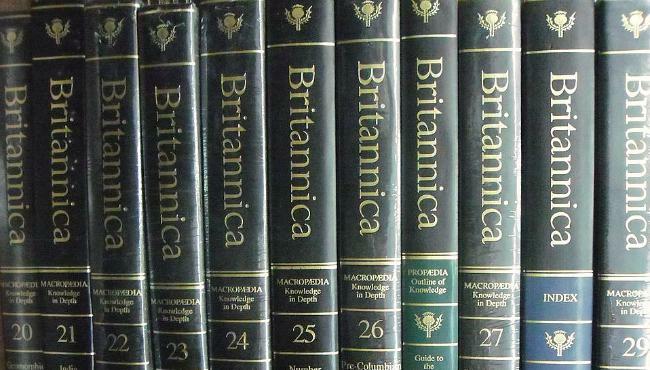 The Encyclopedia Britannica announced on Tuesday that after 244 years in print, it would no longer be producing physical copies of its multi-volume book set. The world’s oldest English-language encyclopedia, first published in 1768 in Edinburgh, Scotland, will now concentrate purely on its online edition, as well as its educational tools. The news means that the final print version of the highly regarded general knowledge encyclopedia was the 32-volume set published in 2010. Cauz said that despite its reputation, the print version of the encyclopedia accounts for a mere 1 percent of the company’s total sales. Even the online version is hardly a big revenue generator, making up just 15 percent of the company’s income. The vast majority of its revenue comes from online educational products and services. Britannica has faced tough competition from the likes of Wikipedia in recent years, which was one of the reasons the company switched to educational tools, a wise move which is evidently paying dividends. The English version of Wikipedia has almost four million articles compared to Britannica’s 120,000. And whereas users have to pay $30 for Britannica’s DVD version, or an annual $70 subscription, Wikipedia is, of course, free. And we all know how much people love free stuff. Wikipedia, which is compiled by a community of volunteers, is sometimes criticized for publishing articles containing errors, though in recent years it has worked to improve its accuracy — kind of important for an encyclopedia. However, printed encyclopedias face a similar problem – even before the ink’s dried, information can be out of date. By moving online, that’s one issue the Encyclopedia Britannica’s creators will no longer have to contend with.